Since Max was around 18 months/2 years old I started to notice differences between him and other toddlers. It was just little things like his clumsiness, his endless amounts of energy and his obsessive behaviour with things like plug sockets, washing machines and hoovers. 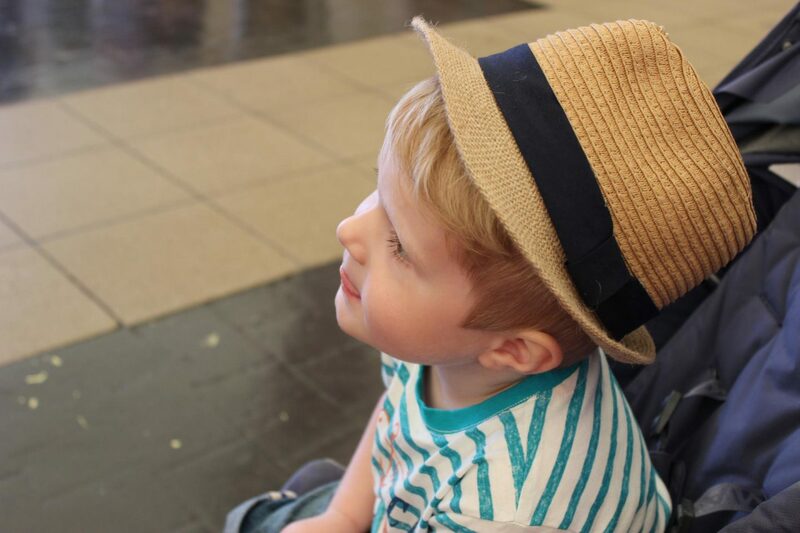 By the time he reached 3 I was convinced he had an Austism Spectrum Disorder (ASD), but it wasn’t until about a year ago that people finally started to listen to me. I had previously taken him to see doctors, health visitors and had spoken to nursery staff. All I even got was “he’s just a typical little boy” or “it’s normal toddler behaviour”. A health visitor actually once told me that he couldn’t be autistic because he was making eye contact and hadn’t rushed straight over to play with the plug sockets and wires! His quirks seemed even more obvious as Evie started to get older, she is so different to him. Don’t get me wrong, she can be hard work at times but it isn’t a patch on how Max was and still is. When he started preschool they slowly started to pick up on his problems and eventually they got somebody in to observe him. 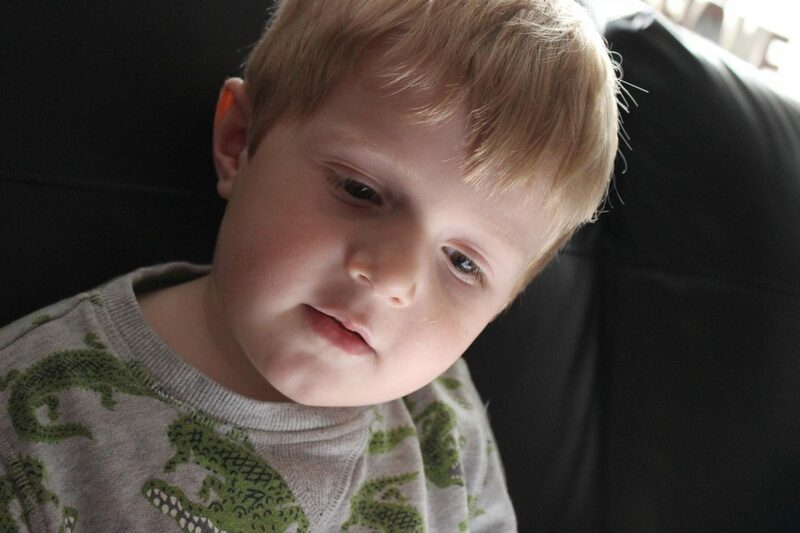 He was observed a few times at preschool and then at home before we were told that they had seen enough to refer him for an assessment for autism. Finally someone believed me! I wasn’t going mad. It wasn’t just that I couldn’t cope with him. I felt relieved mostly, but also sad that it probably wasn’t something he was going to just grow out of. The referral was done in July last year and we’ve only just this week had a letter through with a date for his assessment. It’s on the 15th of February and I actually cannot wait to get it over and done with, this has been hanging over us for such a long time now. We’ve been told to expect the assessment to last 1.5 to 2 hours and Max will be seen by a range of people including a speech and language therapist, a psychologist and a paediatrician. We will also be interviewed about his early developmental history and our current concerns. I have been asked by a couple of people why we want a diagnosis but it seems like a silly question to me. If it means he gets the help he needs and we get advice on how to deal with him, why on earth wouldn’t we want a diagnosis? This isn’t about labelling him. We have never mentioned the word autism to Max and I’m not sure when or if we ever will. I certainly don’t want him to think he’s different to other children. So I’m not sure how I’ll explain the appointment to him, maybe I’ll just say that the doctors are just checking to see how clever he is? I don’t know for certain if we’ll come out of this appointment with a proper diagnosis, he may need to go back for further testing. But either way, there is no doubt in our minds that he has ASD. Some days I absolutely hate autism. But on those bad days I have to try and remember that he is exactly how he’s supposed to be and without autism he simply wouldn’t be Max, his quirks make him who he is. “Autism is part of who I am” Temple Grandin. If you have any experience of autism and the assessment process then please let me know. Any advice would be greatly appreciated. What a great and heartfelt post. My heat third out to you. My son is also autistic and like you it took so long for his diagnosis. We have always known that he was autistic but teachers assured us there was no issues. When he was finally reviewed my paediatrics they confirmed what we always had known. He was finally diagnosed with ASD at 9 years old. Never doubt yourself a mother knows her child better than anyone. Sends you love and lots if encouragement from one autism mamma to another ?? What a great and heartfelt post. My heart goes out to you. My son is also autistic. And like you it was a fight to get the ball rolling for diagnosis. We have always known from the age of 2 that he may have autism. But the Gp and the school teachers assured us there were no concerns. When he was finally reviewed by paediatrics, they confirmed what we had always known. He was finally diagnosed with ASD at 9 years old. Never doubt yourself a mother knows her child better than anyone. There have been so many tears and frustrations and still are, but he is your baby and he is created that way… Autism is part of him and always will be, but it doesn’t and never will, define him. Stay strong… Sending you love and encouragement from one autism mamma to another. ?? All I know, from teaching, is that it can be a slow process. If you get a diagnosis of ASD, then that affects the level of support within mainstream school (in a financial sense, i.e whether they appoint a 1-2-1 assistant). However, if you have the support of nurseries and schools, then assistance can be put in place, even without an actual diagnosis. One child I taught didn’t get a final diagnosis for a while after initial tests but we all recognised that he had autistic tendencies and made adjustments accordingly (visual timetables, giving more warning of changes in routine etc). He flourished in school and the other children didn’t talk about autism but ‘Benisms’ – they loved the things that made him unique. Thanks for sharing. These kids need caring understanding teachers like no other. Keep up your good work. Thanks for sharing your story. We’re in need of such an evaluation but where we live it’s almost impossible to find good help. We share many of your experiences. My little boy would not be who he is if he’s someone else. When it comes to the assessment, you will find it difficult and depressing. So much talking about the things he can’t do. So I would advise that you make sure you have some comfort things in the house for when you get back. Also, take some time now to think of all that is beautiful about him, all the challenges he has overcome. write all the good things about being his parent down and then read them when you come out the assessment. It can be a positive experience getting the diagnosis because it helps you to know where to look for your parenting support (normal parenting techniques just don’t work), but even when you expect the diagnosis it still hits like a punch in the stomach. It still feels like you will never breathe again. But then, you nod, and tighten your metaphorical belt and get on with it. I can’t explain why but I’ve always been so drawn to reading people’s stories concerning autism, even though I have no close experience with it. But I’m starting to notice something going on that’s not quite right with a friend of mine’s son. He’s very behind developmentally and no one wants to listen to my friend’s concern for him. I think I embraced autism before I needed to know it because God knew it would tumble into my life this year. It’s definitely a journey that requires community to survive with any sanity. No experiences of autism myself but want to wish you all the best for the 15th. I have had health visitors dismiss my concerns over and over again and it’s so disheartening to see that you have received the same sort of responses. What a lucky little boy.. He is in great hands – and sounds like he is covered in love.. My friends with children like your max have wonderful lives with difficult moments.. But don’t we all?..